With Ventura Single Speed Rear Coaster Hub 165 mm Axle 110 mm OLN Chrome Shell, Handbuilt with stainless spokes 278mm. 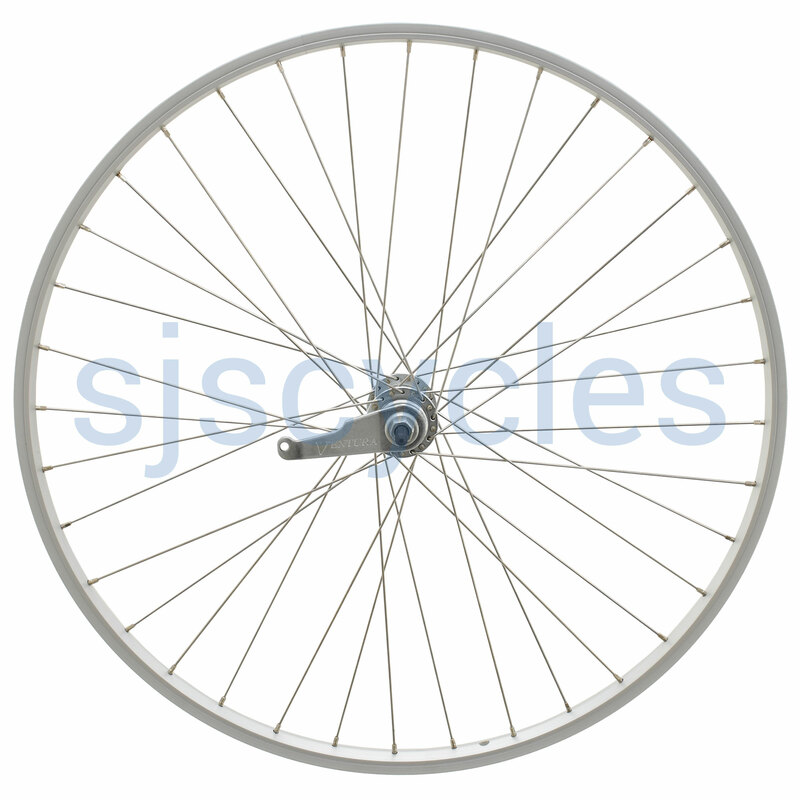 165mm axle, this can have spacers added to it on any frame up to 135mm OLN, accepts normal Sturmey Archer type hub gear sprockets (not supplied) requires brake arm clip (not supplied - search our site for brake arm clip). Comes with wheel nuts, sprocket lockring and lockring dust cover.